At the Melbourne Writers Festival on Friday 22 August 2014 I talked travel books with Don George and Lisa Dempster. Here are 10 travel-related books I’ve really enjoyed in the last few years. They’re not all travel books, it’s a field which can segue into history and fiction – or both. My own travels led me to read several of them and The Wild Coast and Thin Paths were the winner and runner up when I chaired the Dolman Travel Writing Awards in Britain in 2012. 1. A Tale for the Time Being – Ruth Ozeki – this Booker Prize shortlist title centres on the west coast of Canada (Desolation Sound), Tokyo and a temple six hours from the Japanese capital. Kicking off with a mysterious package washing up on the Canadian beach the book jumps back and forth between Silicon Valley, maid cafes in Tokyo, Love Hotels, assorted patches of wilderness in Canada, brings in cats (including Schrodinger’s very particular feline), wolves, raccoons, crows, kamikaze pilots, suicide, lots of Google searches, a great number of Japanese footnotes and … well it’s a complex book. 2. 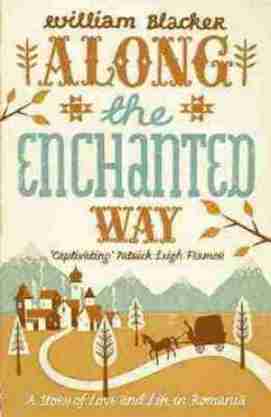 Along the Enchanted Way – William Blacker – the author heads off to Romania soon after the collapse of the Soviet Union, the fall of the Berlin Wall and the violently ignominious end of the Ceaușescus. He falls in love with the place and also with not one, but two gypsy women, relationships which seem to entail a certain degree of danger. He’s been a regular visitor and resident ever since, spending his time in the northern Transylvanian region. This area of Romania, described as ‘the last medieval landscape in Europe,’ is in danger of losing its timeless villages with their fortress churches as the German-speaking Saxons depart for Germany. I visited Transylvania earlier this year and spent some time with William. 4. 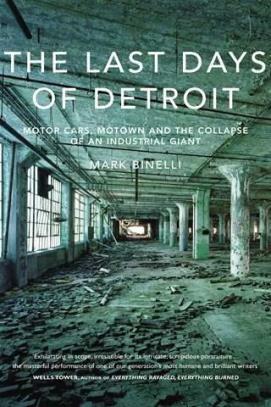 The Last Days of Detroit – Mark Binelli – I’ve got a particular fascination with Detroit because I lived there for several years when I was a teenager, way back when Detroit was going fine. Mark’s superb book covers the decline and fall – and perhaps rebirth – as a tale of alternate shock and awe. There’s a great line about using Detroit as a movie set, because it was ‘after all, not merely a set designed to resemble a ruined American city but an actual ruined American city.’ In the US the book is titled Detroit City is the Place to Be. 5. Moby Duck – Donavon Hohn – sub-titled ‘The True Story of 28,800 Bath Toys Lost at Sea and of the Beachcombers, Oceanographers, Environmentalists, and Fools, including the Author, Who Went in Search of Them,’ this is a great book. The foolish author foolishly get interested in the story of the container load of bath toys washed off the ship Ever Laurel by huge waves on 10 January 1992. The container broke open, the cartons fell apart and the bath toys – 7,200 of them yellow ducks – floated off to the ongoing entertainment of all sorts of people. Pursuing the story of those Moby Ducks kept Donovan busy for years and by the end of his travels he’d chased them down along the coast of Alaska, where many of them washed ashore. He’s sailed out of Hawaii looking for the great Pacific Garbage Patch. He’s even gone to Hong Kong and on into China to track down where those rubber duckies were originally created. 6. Naples ’44 – Norman Lewis – Having visited Capri and Naples last year reading one of the classic books on the city seemed like an excellent idea. Norman Lewis turned up in Naples in late 1943, immediately after the Armistice between Italy and the Allies was signed. He spent the next year in the city and his diary recounts the chaos and madness that followed. In fact much of what went on in Naples would be duplicated after the fall of Baghdad 60 years later. Liberators can soon become very unpopular. 7. Nemesis – Max Hastings – my travels through the Solomon Islands and Papua New Guinea researching Dark Lands prompted me to read the extraordinarily interesting Nemesis, Max Hasting’s book on the final year and half of the Pacific War. It covers the unrelenting brutality and stupidity of the Japanese, the egoism and tunnel vision of Douglas MacArthur, the pig-headed obstinacy of Australian trade unions and the inevitable march towards Okinawa, Hiroshima, Nagasaki and the collapse of Japan. Balalae Island in the Solomons was my key experience. 8. 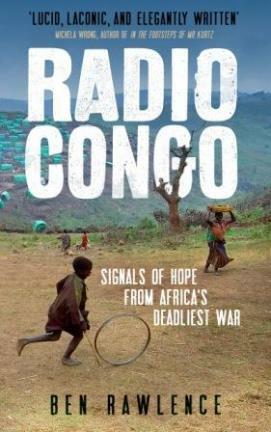 Radio Congo – Ben Rawlence – what is it about the Congo that inspires so many terrific books, novels, histories and travel accounts? Check my Dark Lands reading list, put together after I travelled through the Congo for Dark Lands. Ben is finding his way to Manono, a mining town from the Belgian colonial era with comfortable suburbs and classy art deco architecture. Is the town still there? Yes it is. Can he get there? Alive? Yes he does, but along the way he meets the whole range of the Congo’s survivors from returning refugees to former child soldiers, miners to journalists, subsistence farmers to scary soldiers. The roads which carried Belgians to Manono have long gone, today he reaches the isolated outpost on the back of a motorcycle although even two wheels won’t work all the way, sometimes the trail is so bad he must walk. 9. The Wild Coast – John Gimlette – a superb exploration of the Guianas, those three often ignored countries (well one is still a colony) squeezed between Venezuela and Brazil. The book features writing which races you through faster than you can turn the pages, a story that transports you to a place you barely knew about before and all done with a relaxed nonchalance which totally disregards the tough travels it clearly involved. Before reading Wild Coast my Guianas knowledge could be summarised as ‘don’t drink the Kool-Aid, don’t end up on Devil’s Island, but do go there for an Ariane space launch.’ I’m way better informed today. 10. Thin Paths – Julia Blackburn – subtitled ‘Journeys in and around an Italian Village’ much of this magical book traces walks along those thin paths around a village above the coast just across the border from France. I’d never realised how feudal rural Italy was prior to WW II and I hadn’t appreciated how difficult life had been for the Italians after the surrender in 1943, when half of the Italians were fighting the other half and the Germans and Allies were also in the picture. The author is wonderfully observant of nature, her descriptions of bats, birds, butterflies and beetles are terrific.